Officials of Iran and its flag-carrier Iran Air have signed two agreements with Airbus covering orders for 118 new aircraft, including 12 A380 superjumbos, and a comprehensive civil aviation cooperation package. 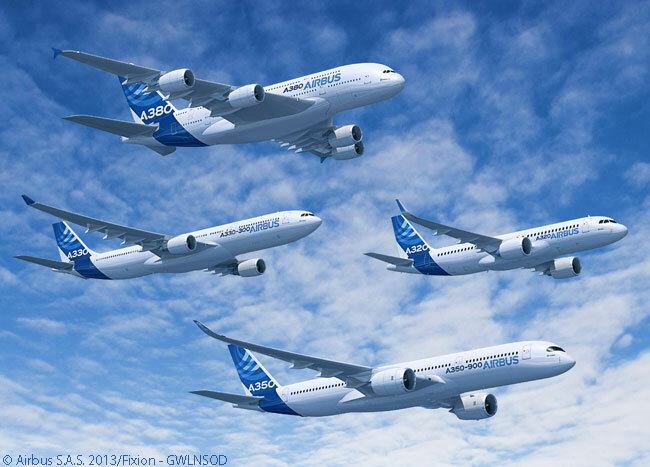 The order specifies 12 A380s, 16 A350-1000s, 27 current-generation A330s, 18 A330-900neos, 21 A320ceo-family aircraft and 24 A320neo-family jets. To date Airbus has not provided an estimated list-price value for Iran Air’s order, but going by the 2016 list prices Airbus announced for each of its models on January 12, it must be at least $27 billion. “Today’s announcement is the start of re-establishing our civil aviation sector into the envy of the region and along with partners like Airbus we’ll ensure the highest world standards,” said Parvaresh. The agreements were signed at the Élysée Palace, Paris, during Iranian President Hassan Rouhani’s official visit to France with French President François Hollande. Iran Air’s agreement to order the full range of Airbus commercial jets includes a provision for the manufacturer to provide pilot and maintenance training and support services to help the airline with the entry into service and efficient operation of its new aircraft. In parallel, Dr. Abbas Ahmad Akhoundi, Iran’s Minister of Roads and Urban Development, signed a comprehensive cooperation agreement as part of the country’s modernization of its civil aviation sector. The cooperation agreement provides for Airbus to support the development of air navigation services (including air traffic management services), airport and aircraft operations, regulatory harmonization, technical and academic training, maintenance, repair and industrial cooperation. Major orders from Iran Air with Airbus, Boeing and potentially also other Western commercial-jet manufacturers have been expected ever since the major Western powers implemented the Joint Comprehensive Plan Of Action (JCPOA) on January 16, 2016, lifting the economic sanctions the West previously imposed on Iran. Iran and Iran Air signed the two January 28 agreements with Airbus in accordance with the implementation of the JCPOA and its associated rules and guidance. Airbus has design and manufacturing facilities in France, Germany, the UK, and Spain, and subsidiaries in the US, China, India, Japan and in the Middle East.